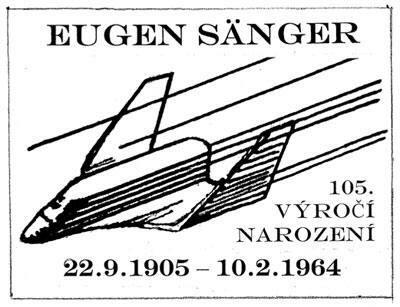 Czech astrophilatelists will be launching a postmark meter slogan type of cancel to commemorate the 105th Birthday of German rocket pioneer Eugen Sänger on 22 September 2010. Sänger was born in the Bohemian town of Presnice; a village that has today disappeared under the waters of a dam. For this cancel, two cacheted covers will be issued, one showing one of Sänger's projects called "Silber bird", the other showing a view of Presnice. 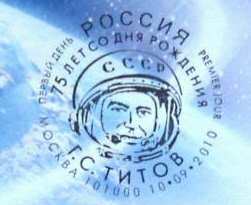 Additionnally, a personalized stamp showing Sänger's portrait will be produced. The price is 4 Euro ea. plus postage. 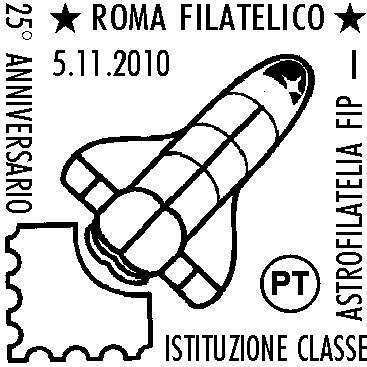 The final version of the postmark which will be used on Nov. 5th 2010 in Rome, where Astrophilately was born 25 years ago, to commemorate the event. 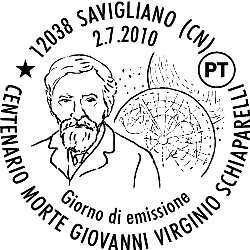 Centenary of death of Giovanni Virginio Schiaparelli who contributed to the research on Planet Mars and was famous for the so-called "canals" on the red planet. 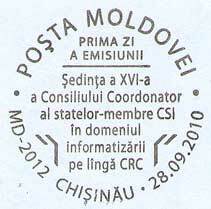 This postmark is easily missed as it is a FDI postmark for a stamp not directly related to Space. 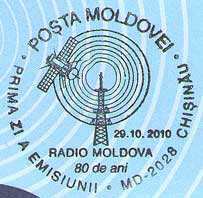 The stamp marks the 80th Anniversary of Radio Moldova.